“Something this had never happened to her before. It was like the stars had aligned in most splendid fashion to lead her to this point in time. As she laid on her comfortable bed, still half asleep, her hands ran over the smoothness of the padded velvet headboard as if to reassure her it wasn’t just a dream. When she finally opened her eyes and lifted her head from the warm cocoon that was her bed, her gaze met a reflection of herself in the large mirror on the wall across from the bed. The tousled hair in the mirror made her smile, especially as the memories came flooding and confirmed that she was indeed awake and what had happened wasn’t a fantasy. 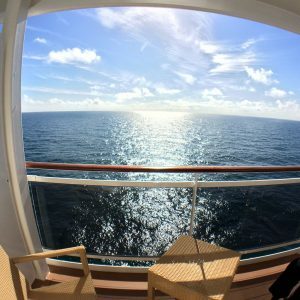 Earlier this summer I discovered that I was one of the lucky winners of a competition on an online cruise forum. The prize in question was a three-nighter taster cruise onboard MSC Splendida from Hamburg to Southampton for myself and a friend. At the start of September we joined a varied group of winners/cruisers from all over the UK and had a great time onboard. I went home having had my prejudices proved wrong so many ways. 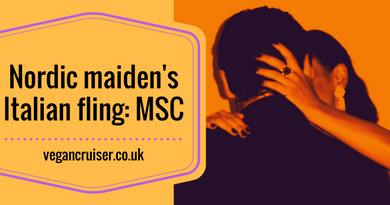 Having previously cruised with other US-based cruise companies for special occasions with my husband and Royal Caribbean and Carnival for the cheeky wee fun cruise I wouldn’t have considered MSC for the latter – but have now been won over. Or rather been seduced by their Continental charm. Based on our three nights I am now looking to sail with MSC again – and am already looking at a couple of itineraries for 2017. Am not sure if this fling will develop into anything more serious and long term, but right now I am looking forward to more fun. I’ve always been skeptical about American cruises so I’ve never been on one, so maybe I should check out MSC! What was the biggest difference with that cruise? I love the entry, it drew me in. This sounds like a wonderful inclusive cruise from a company I didn’t really know about before. Thanks Cindy. I knew of this Italian company but had heard comments that had made me doubt they’d be one for me – but now I know I’ll happily dabble with them too in the futre. 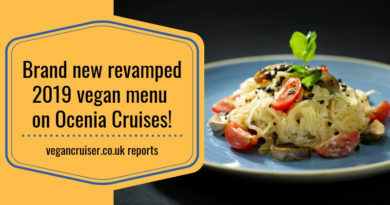 This was just a teaser post, with more to come..first day blog post just gone live and will do another one on food specifically (from vegan angle). Although MSC are Italian they do sail from Miami too and wil soon be calling at Havana and a brand-new private Caribbean island resort they’re building. Plans look fab, hope to try that one day too! Thanks Robin, someone called that #50shadesofcruising but it didn’t really go that far  But hinted at it, perhaps. 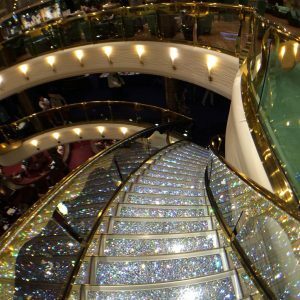 I’ve got more posts to come to talk about it greater detail – lovely cruise, can’t wait to go back. Just posted a ‘day one’ entry to expand on this ‘teaser’  Thanks for commenting! Hi Sarah, thanks for reading & commenting. Think my new post out just now will answer both of your questions  I will write at least one more post on food (the vegan angle) in addition to today’s post. But yes, this was a three night taster although the cruise actually was a 7 day roundtrip to Hamburg. 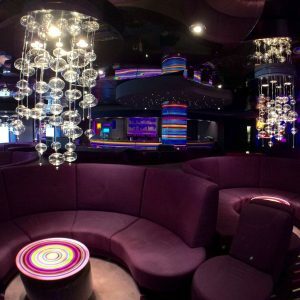 I was overwhelmed by the quality of the ship: public venues and the cabins (see the new post) and there were a number of staff who were excellent – just wonderful. I will have to look into MSC cruises more! I’m one who’s not sure if I’d love cruising, so I’m always interested in some alternatives to the big names. Laura, thx for your comment  For professional (blogging) interest, why do you think you might not enjoy a cruise? Am thinking of writing a blog post on why people may not book one (misgivings etc). Such a creative approach to this topic, and your trip sounds stunning!! 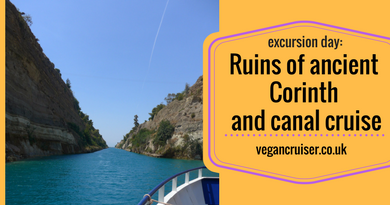 I’ve been won over with cruises, too–such a great way to see a bunch of places in one trip (with amazing food that you’ve already budgeted for)!